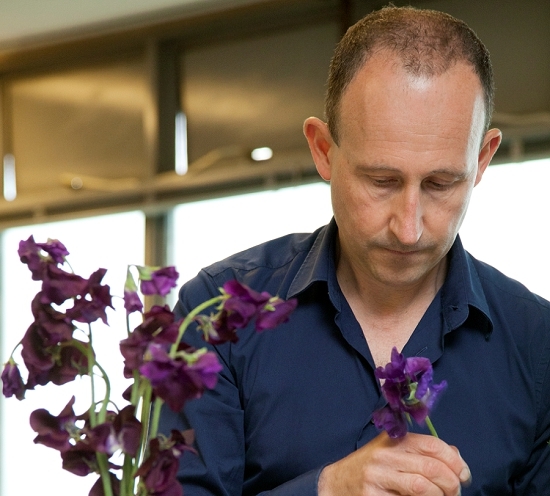 On Day One of British Flowers Week: Discover all about Paul Thomas's favourite British summer flower, the Sweet Pea! 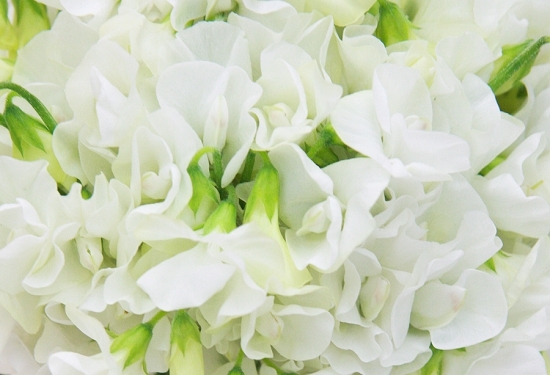 The British took the humble sweet pea, lathyrus odoratus, to their gardening hearts in the early 1900s, when Henry Eckford of Wem bred and introduced the deliciously fragrant grandiflora sweet peas that we know today. The origins of the sweet pea, meaning 'delicate pleasures' can be traced back as far as the early 1700s, when Franciscus Cupani, and Italian monk, sent the very first sweet pea seeds to Britain. Today’s Flower Market florists can get their hands on these 'delicate pleasures' from British glasshouses from as early as February and the season ends with the outdoor grown varieties. The growers pre-treat the sweet peas for longer vase life, and the flowers come in with an elegant stem length of 18 inches or more. The growers' secret to producing longer stems is to allow sweet peas to grow slowly and steadily. British sweet peas appear to suffer less from the vagaries of the British climate than other flowers, principally as they are grown under cover, and the quality and availability is outstanding. Florists can confidently promise them to brides and clients and pre-order them through their wholesalers for weddings and events. The soft, paper-like texture of the humble sweet pea coupled with its delicate, fruity fragrance belies its tough, resilient nature. 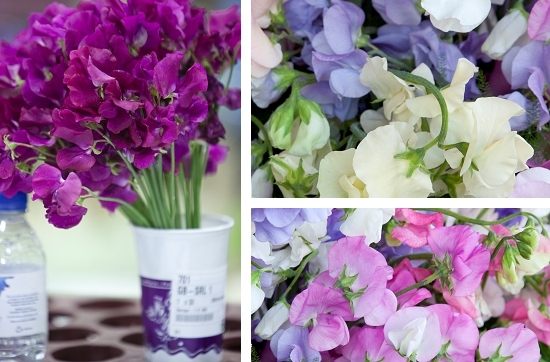 Sweet peas are always a feast for the senses displayed en masse at Chelsea or in the chill of the Flower Market. The colour palette ranges now from purples, pinks and creams to salmon and bi-colour varieties. 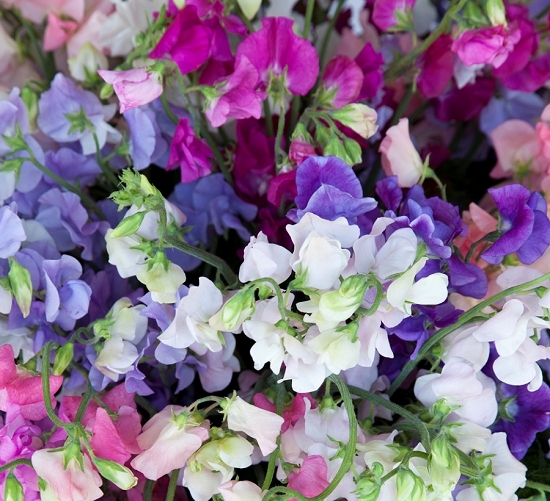 "British-grown sweet peas are simply the best," says Paul Thomas, who has selected the sweet pea as his favourite flower in British Flower Week. "They beat the Dutch hands down. The quality is always amazing, the scents delicious and their flowering season is more prolonged than the Dutch." 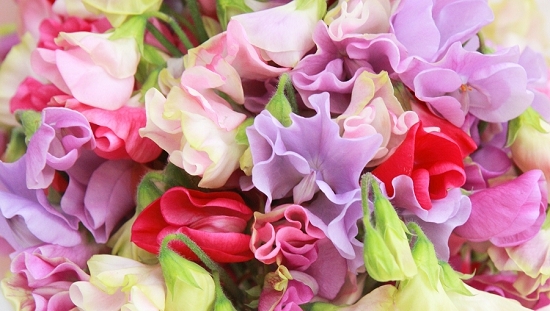 Currently, sweet peas come into the Flower Market fresh from the growers for Monday and Thursday morning trading. To catch the pick of the sweet pea bunch, you need to be an early riser or book them in advance, as it is a question of first up, best served.